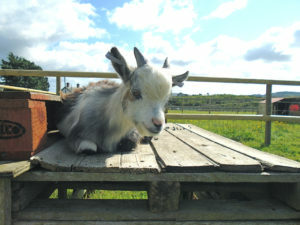 On Friday 16th February on the top lawn you can meet some gorgeous goats! Including some British Guernsey’s, a dairy goat whose name is Benne, Bernard who enjoys a day out and is very handsome, and a little pygmy stud goat the Mighty Hercules! Come and find out all about them and watch their milking demonstrations. THE LOVELY GOATS ARRIVED, DON’T MISS THEM! !